Four wonderful days spent with my son-in-law, my oldest daughter, and their four children = one tired grandmother. 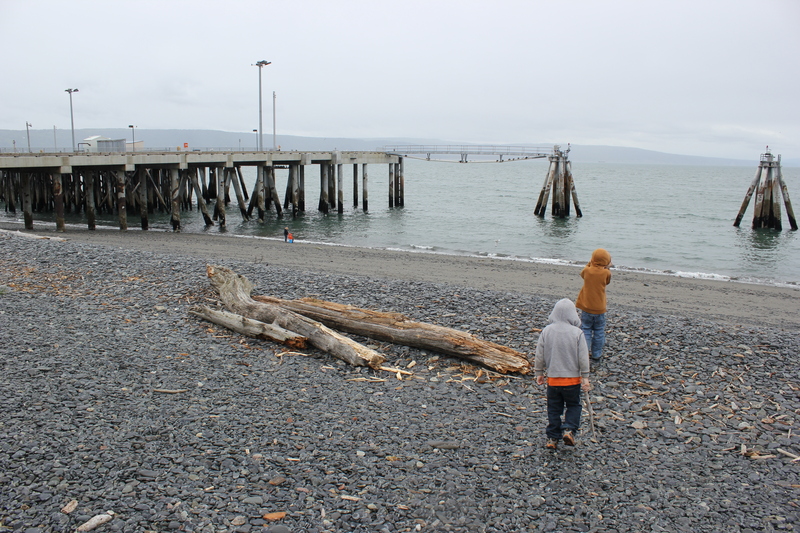 We drove out onto the Homer Spit the first day, but it was too cold and wet to spend any time there. This is the leeward side of the spit. My daughter pointed out the camps along the spit: motorhomes on the leeward side and tents on the windy side. “That’s where people with no money camp,” she said. “That’s where the Presleys would camp,” I replied. We laughed: we both spent many an hour holding up the sides of a wind-blown tent on a cold, blustery, “Summer” day somewhere in the Oregon, Idaho, or Nevada wilds. We’ll take a motorhome now. 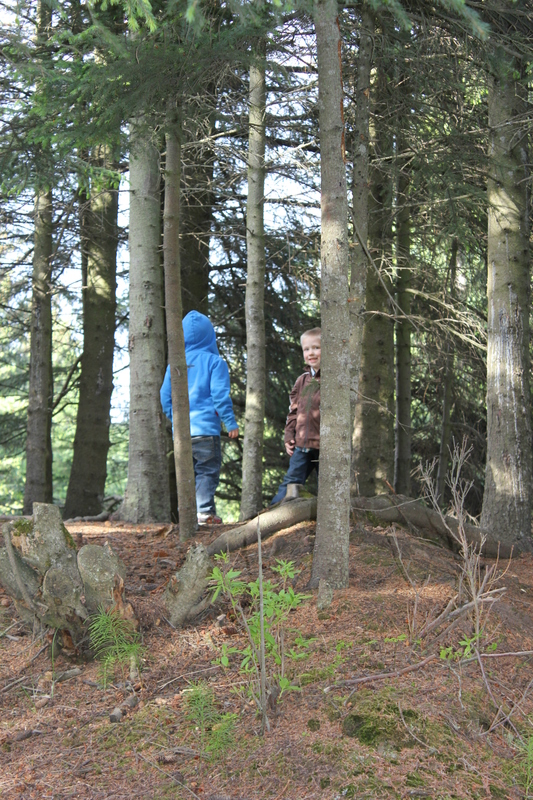 Saturday was punctuated with sun breaks and a 5th Birthday Party for the second born. 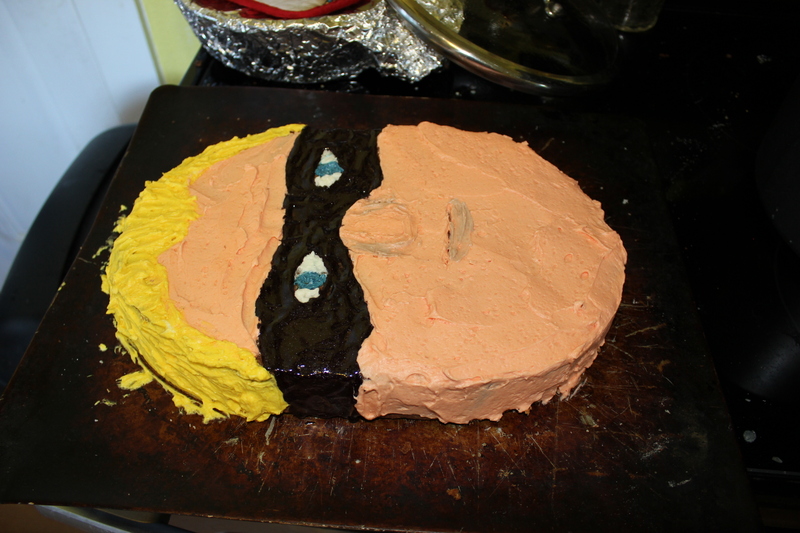 He wanted Mr. Incredible’s face for a cake. 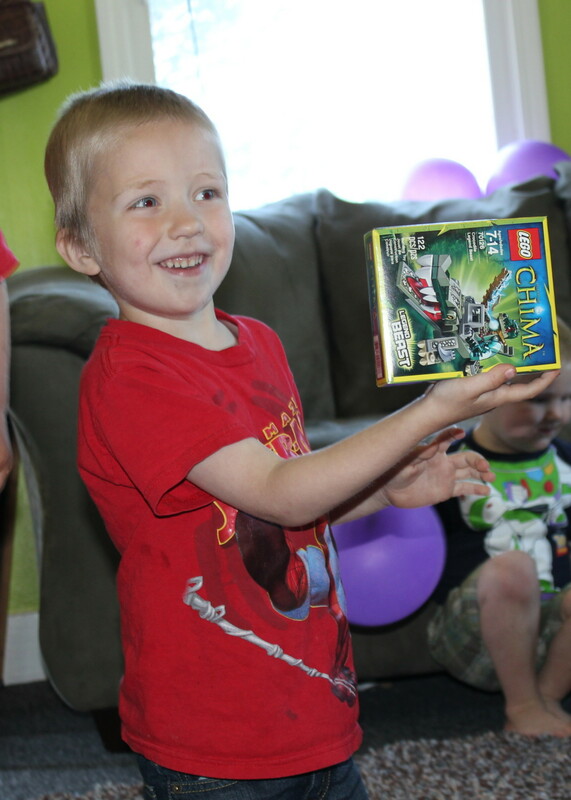 Javan is into insects as well, but the insect-related gifts were not the big hit. He *likes* bugs, but he doesn’t really want to touch them or hold them. He only wants to look at them. Four little children. 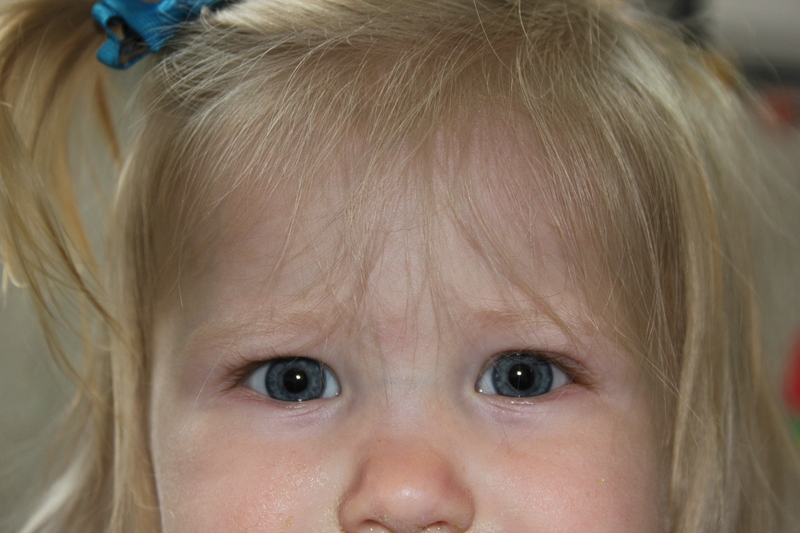 The youngest doesn’t talk, but babbles along in her own mystery language, content to be adorable and cute. My daughter seems calm, but the truth is: she’s simply too exhausted to be anything else after playing referee, mentor, cook, house-cleaner, and laundress all day. 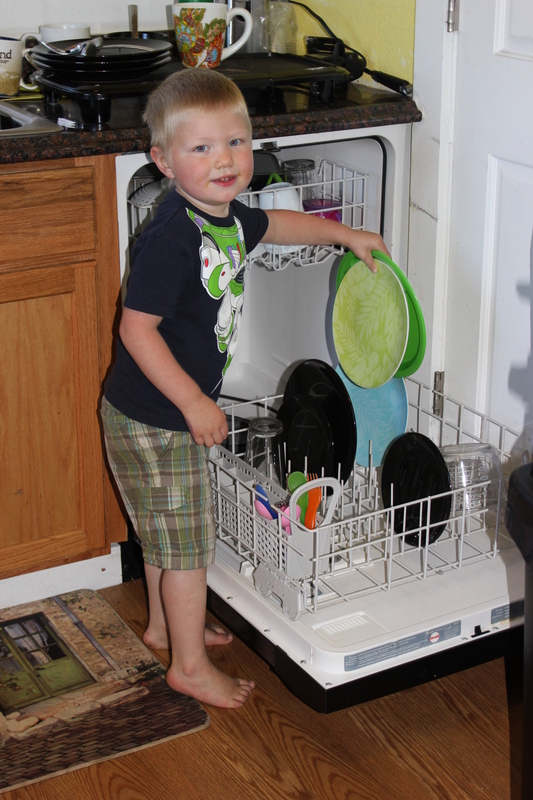 The boys unload the dishwasher for her. They think this is great fun, not a chore. I’d like to know how she brain-washed them. Of course, they can only unload “their” dishes, but that’s most of the work! She also employs them as short-order kitchen help. 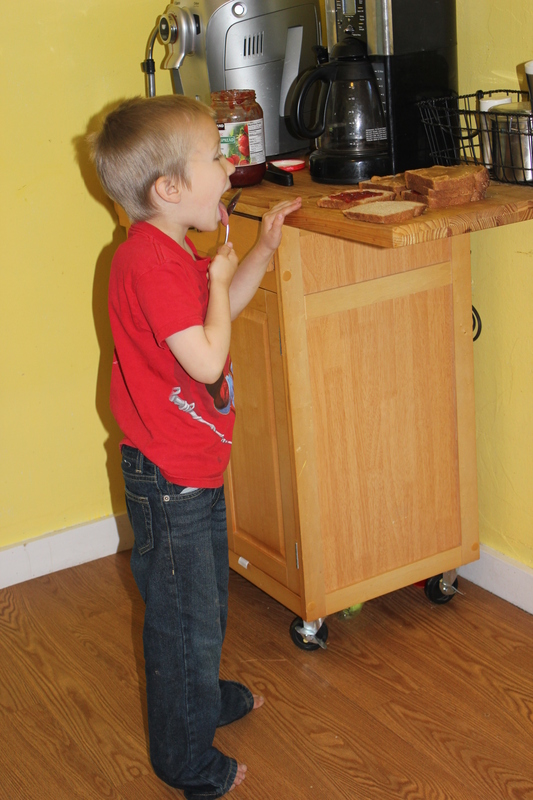 Javan made sandwiches for his siblings. It’s a job with perks: he gets to lick the spoon in between dips into the jelly jar. I did not eat a jelly sandwich the entire time I was there. 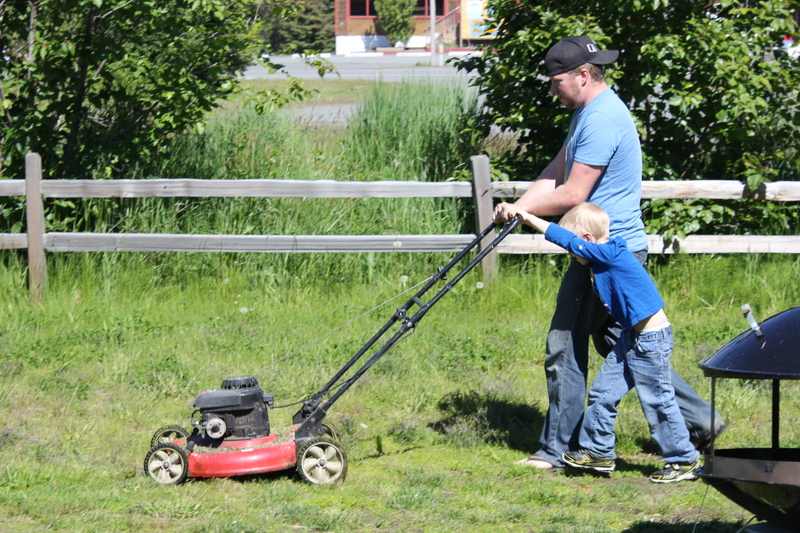 Zephaniah is learning how to mow the lawn. That’s a pretty cool job to learn how to do! Zephan is also in charge of this little monster. 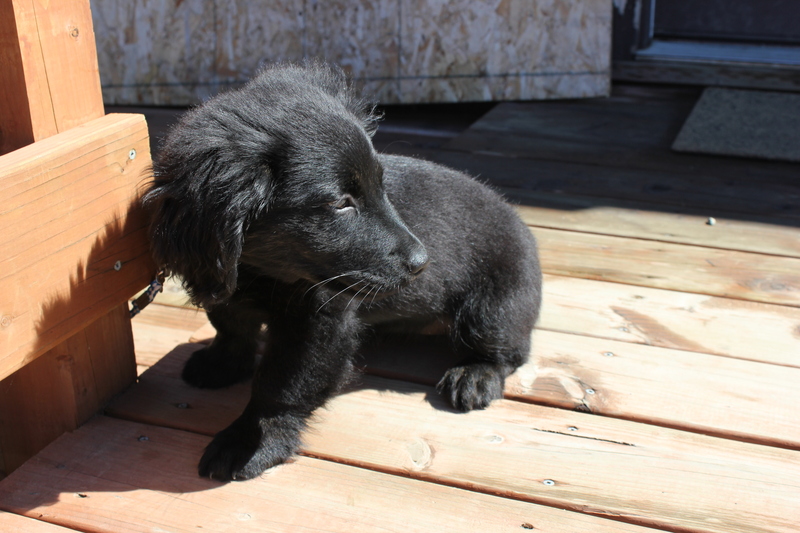 Summer is just two months old, part Corgi and Golden Retriever and something else. 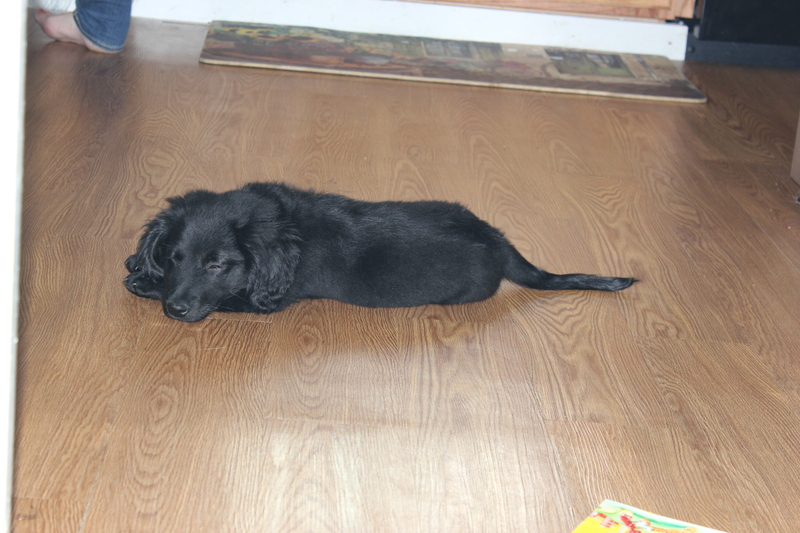 She’s all sharp puppy teeth and a Holy Terror to toes. It takes a lot to wear her down. Zephaniah feeds and waters her, and takes her in/out when she needs to go. She’s almost house-trained. She’s one smart little imp. So is this guy. Those dimples slay me. 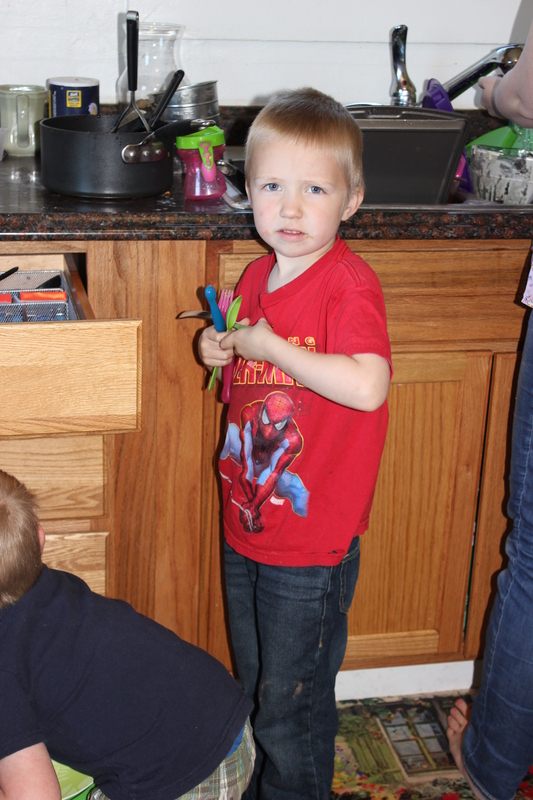 He’s nearly four years old and has a vocabulary of a six-year old. I guess he makes up for the fact that his little sister refuses to learn to talk. She doesn’t have to. He’s too curious not to. 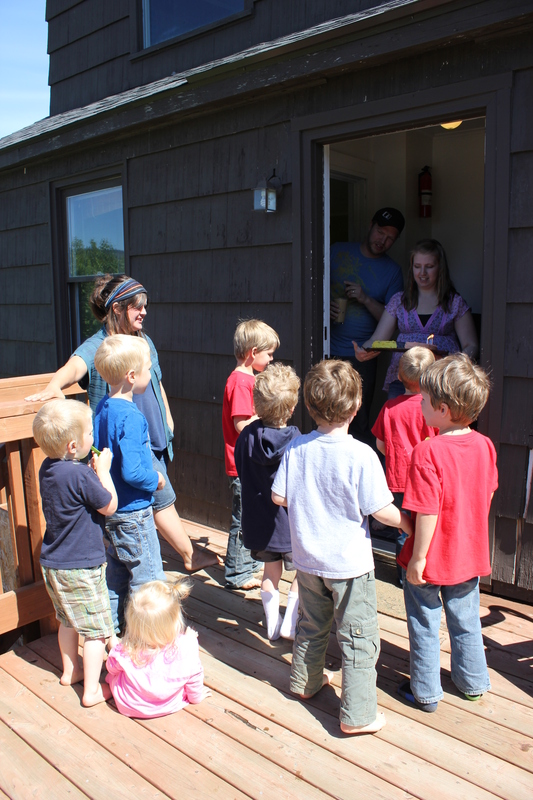 We went to a church picnic and baptism on Sunday. Alaskans would be surprised to know that it wasn’t much different from a million other church picnics and baptisms that I have been to in Oregon: cold, rainy, no warmer than 55-degrees, and the water in the river a mere step above snow-melt stage. One young woman wore a wet suit to get baptized in. Smart girl. Eli just cracks me up. He wouldn’t hold my hand when we went places and refused to hug me “good-bye”, but he doesn’t remember me from his toddler days. 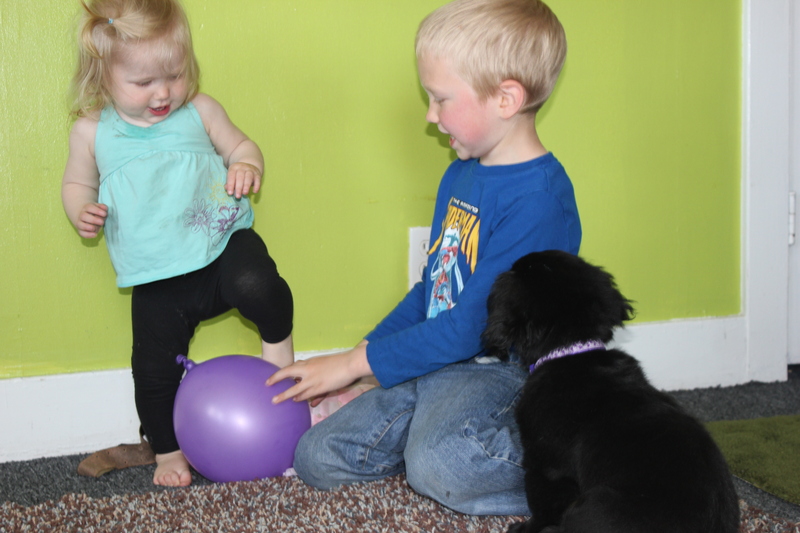 I was a curious adult to him, one that (gasp) wouldn’t let him pull the puppy’s leg any more than his mom would. He sat on the arm of the chair. I told him he was not supposed to do that. Grin. Darn: Grandma is figuring out the rules! 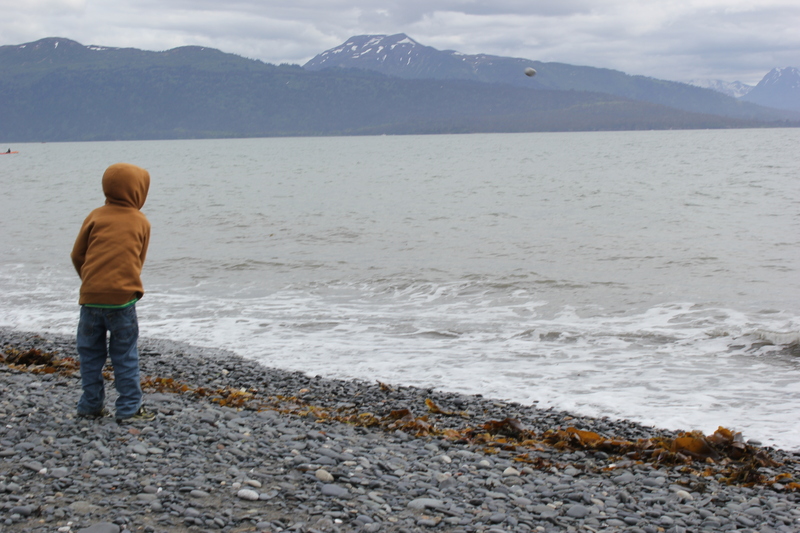 Homer is a beautiful spot near the tip of the Kenai Peninsula, situated on Kachemak Bay. There is a community across the bay, but it is not accessible by road. 224 miles from Anchorage, it is a five+ hour drive. This is because you have to drive around Turnagain Bay on the north end of Cook Inlet. Kachemak Bay opens into the southern end of Cook Inlet and the Pacific Ocean. 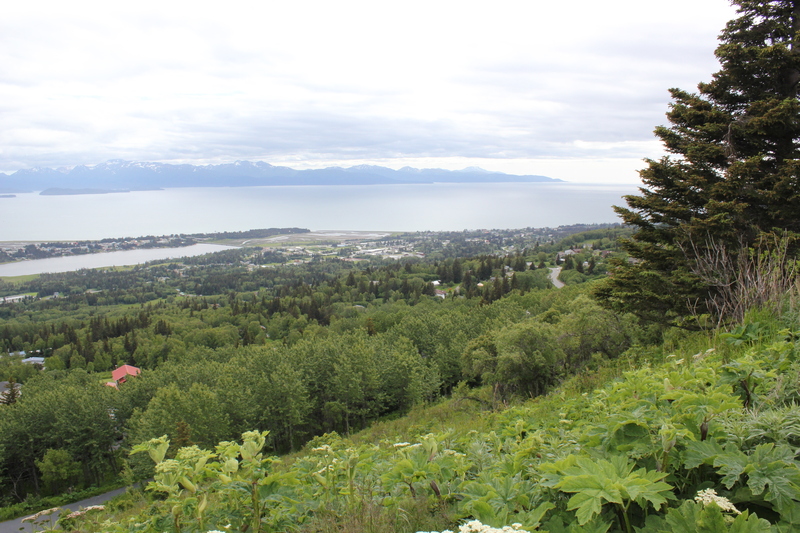 The Homer Spit is a narrow strip of land possibly formed by glacial moraine. 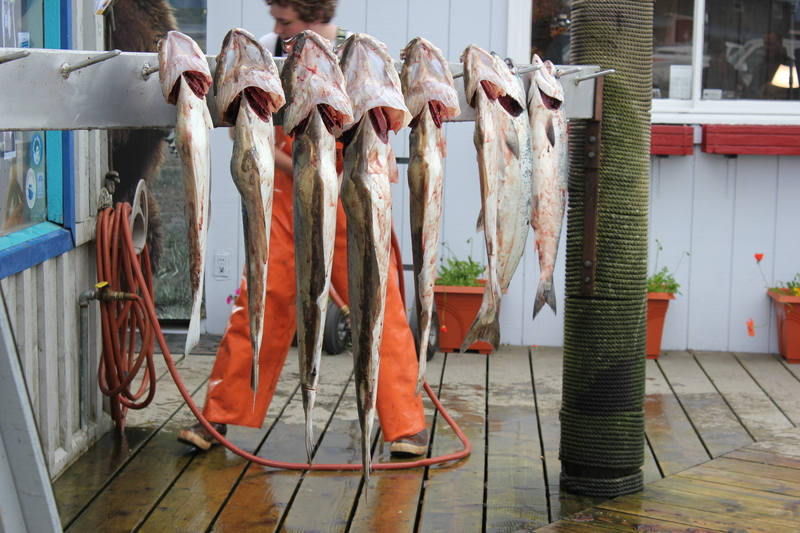 It is home to crab boats, charter fishing boats, commercial fishing boats, and the “Deadliest Catch’s” own Time Bandit. The Time Bandit was not in dock either time we were out on the spit. There are camp sites and a long strip of tourist shops, small cafes, and charter boat headquarters. 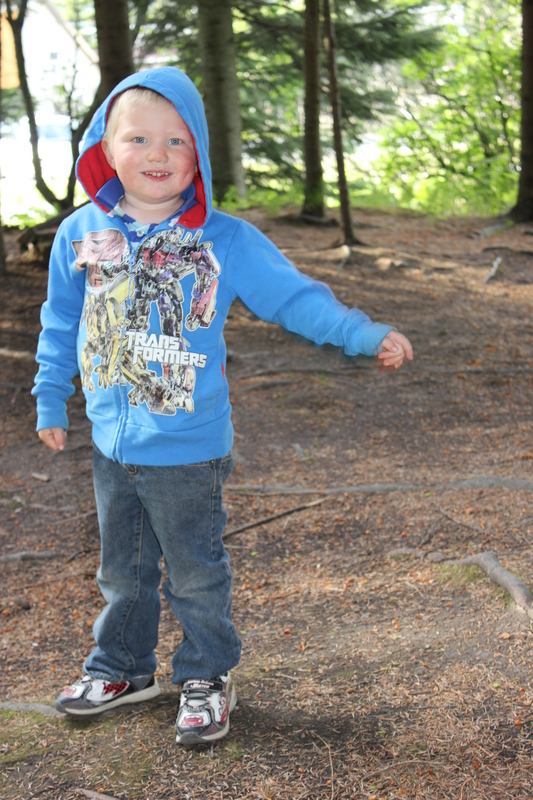 Our second trip out onto the spit involved walking along the board walks and playing ‘tourist’. 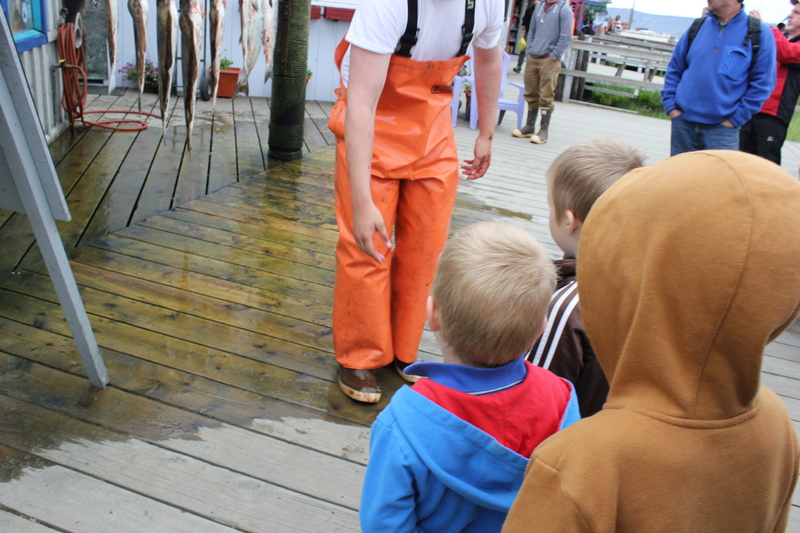 Someone’s charter had just docked and the the little boys were thrilled to watch this man clean the halibut and salmon catch. “Want to touch my bloody hand?” he teased. But we will pick up the middle part of a dead crab’s body and put it in our pocket with the small barnacle mom found in the seaweed for us. 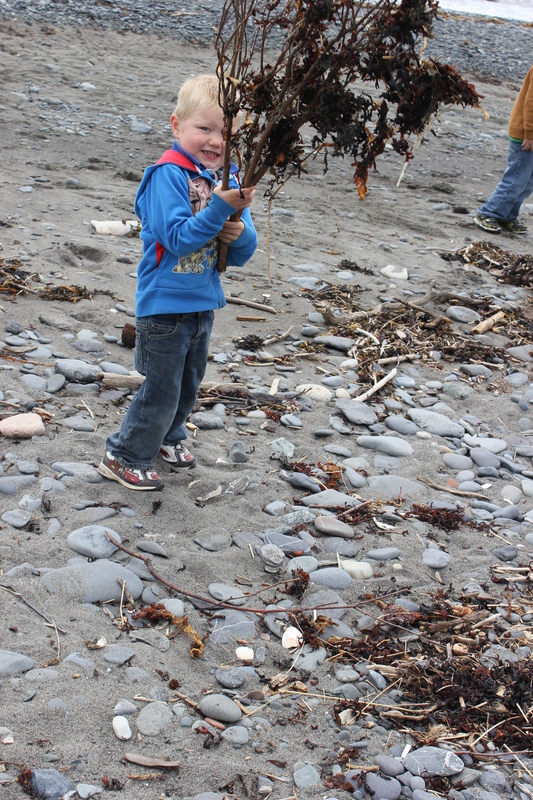 And we will pick up a branch that washed ashore, tangled in rotting seaweed, and wave it around at everyone. 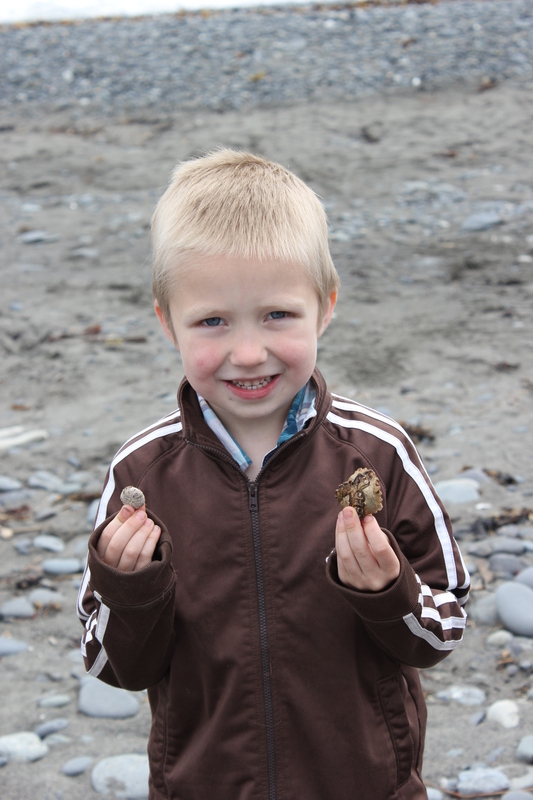 The practical child just lobs rocks into the sea. 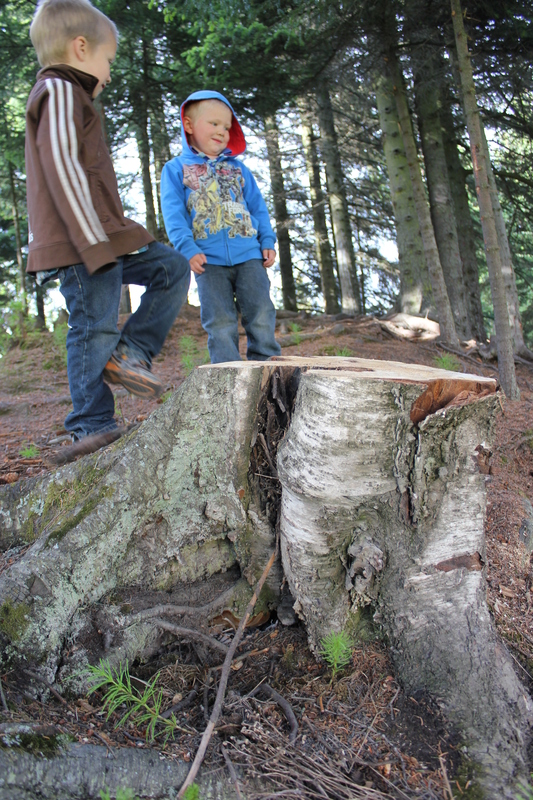 We also did a little walking near Beluga Lake, a small man-made lake at the end of Homer Airport. 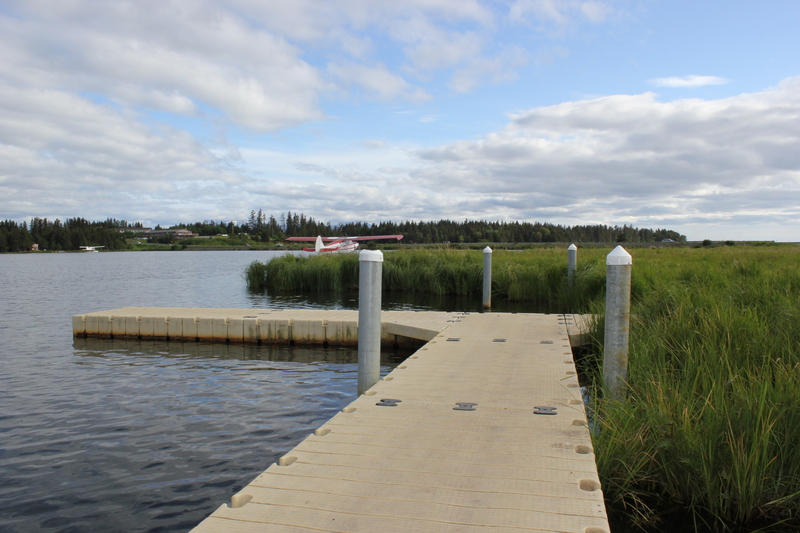 Beluga Lake serves as an extension of the airport and the floating docks are for float planes, not boats. A person can charter a float plane for a “bear sight-seeing trip.” One can hope to see a “brown” bear or a “black” bear. No one calls brown bears by the name we use in the Lower 48: Grizzly. Noone had to explain the difference to me, either. I figured out that tid-bit all by myself. I have no desire to see an Alaskan Brown Bear. I had my own Grizzly Bear experience when I was ten years old and we were visiting Yellowstone National Park. It was enough for a life time. This is “the jungle” near Beluga Lake. No, I don’t get it, either. 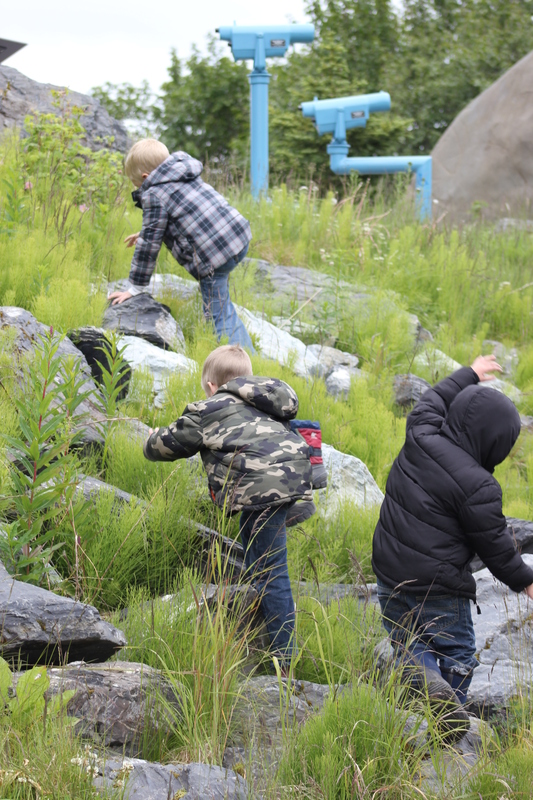 Everywhere, the land is covered with horsetail, cow parsley, sedges, wild lupins – and this bare spot of forest on a rock has been dubbed “the jungle” by my grandsons. 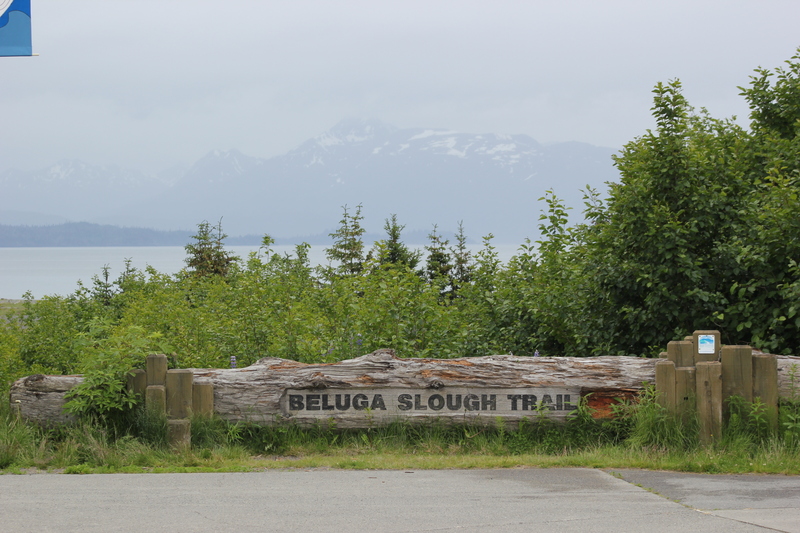 Our last tourist stop was the Islands and Oceans Visitor Center and the Beluga Slough Trail. There’s an interpretive center inside that takes you through a brief history of the peninsula and the occupation of the Japanese during WW2. The Japanese held the island of Kiska in the Aleutians during the Great War. 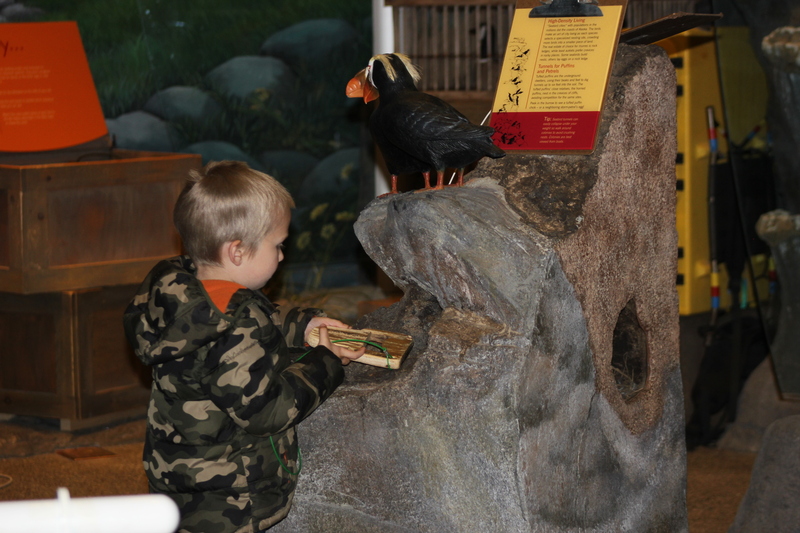 The damage to the ecosystem and subsequent conservation work is chronicled throughout the center. We walked a little bit, but my daughter wasn’t very eager to wander off onto the little side trails. A cow moose with twin calves had been sighted on the refuge and near the Center. I wasn’t very keen on the idea of meeting a mama moose with twin babies, either. 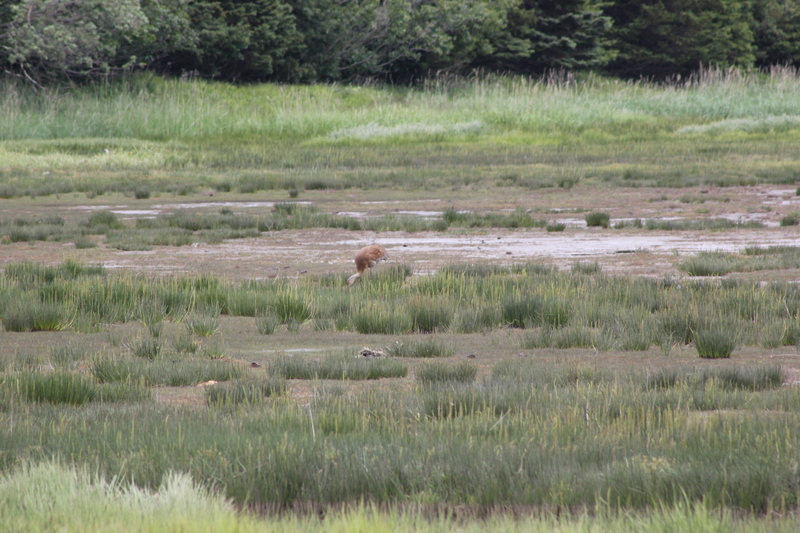 Also, we had been watching a moose out on the delta and it had moved in the general direction of the refuge. A moose from a distance is great. 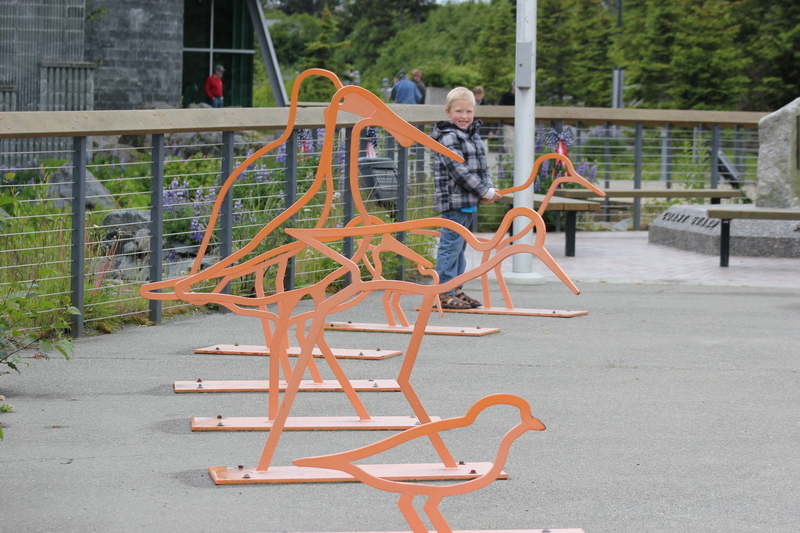 We settled for Sandhill cranes. 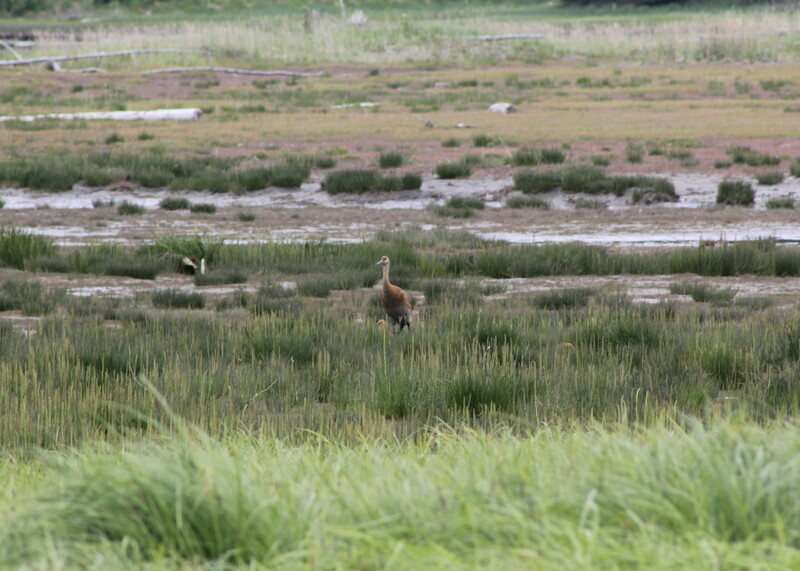 If you click on the photo, you will notice what we did not see with our bare eyes: Sandhill Crane chicks. Back to the center (Why can’t we walk to the beach, Mommy?” and “How do you know there’s a mommy moose with twins out here?”). 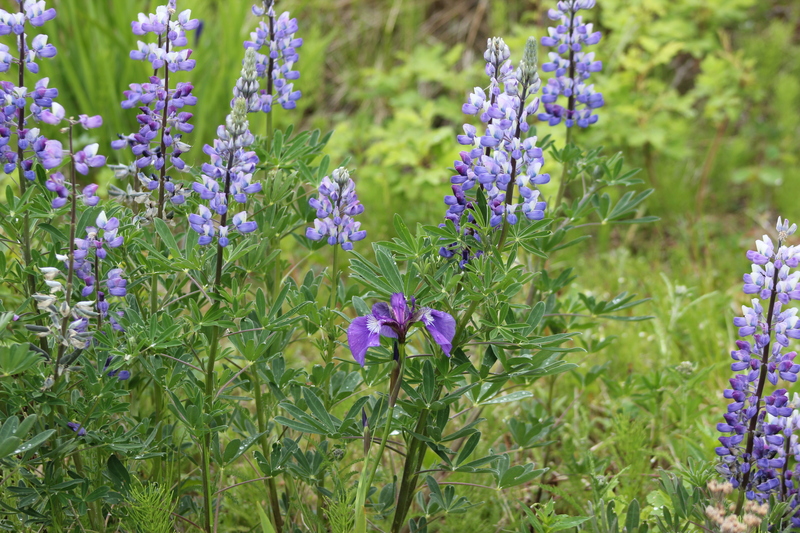 The lupins were everywhere, but this was the first place I noted the dark blue wild irises. 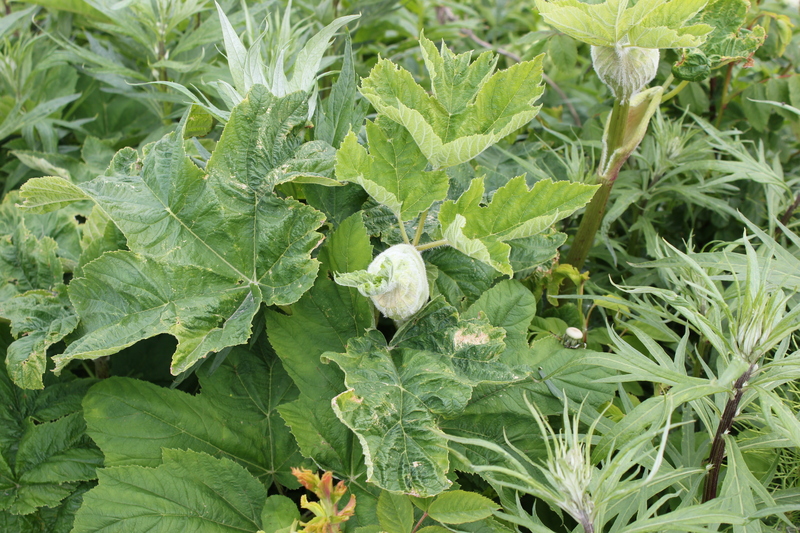 Poisonous cow parsnip was everywhere as well. Pungent, tall, and wicked-looking. 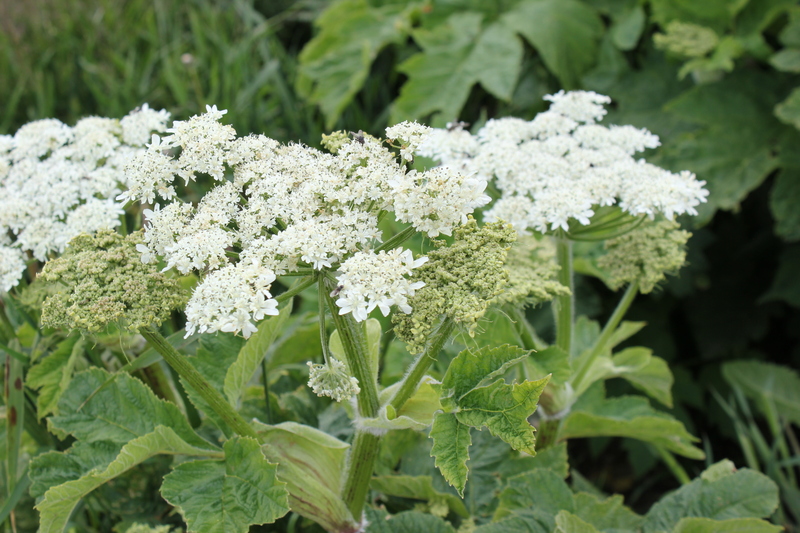 The locals (and my daughter) call it “pootschki” (push-key), but I have always known it as cow parsnip. There’s an abundance of nettles as well, and Devil’s Club. 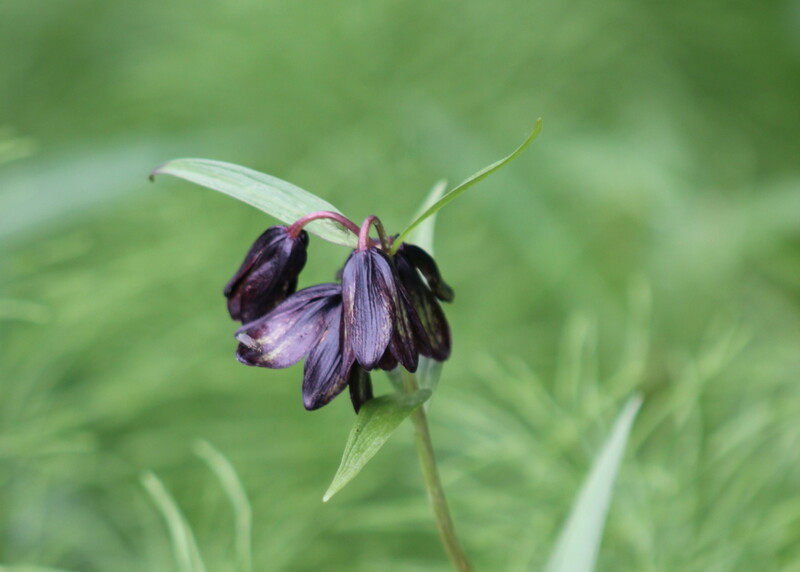 I found this large checkered lily as well. The blossoms were about an inch long and the stem was around two feet tall. 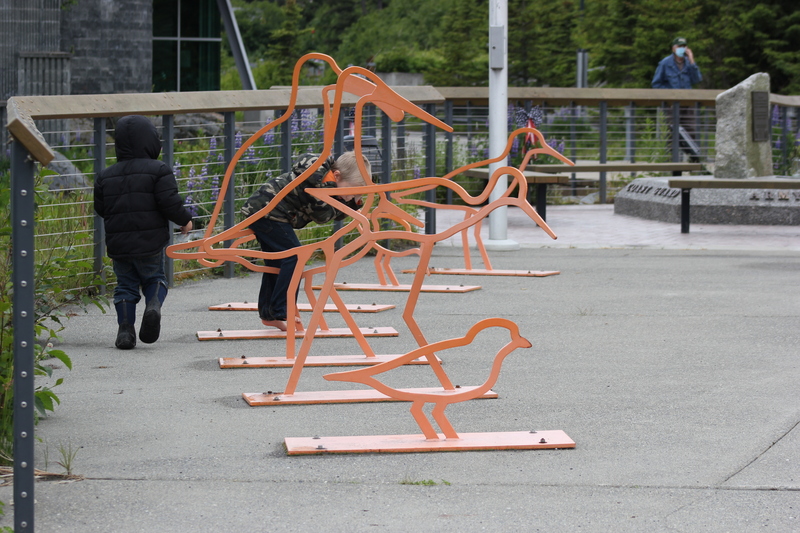 Bike racks make for climb-able art. My flights in and out of Homer ended in Kenai. 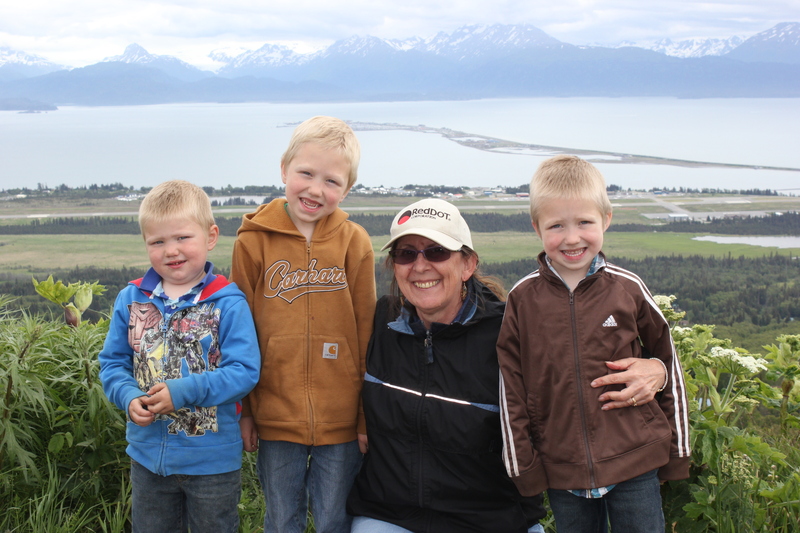 It is simply too expensive to fly into Homer, even though it is a mere 90 miles south of Kenai. 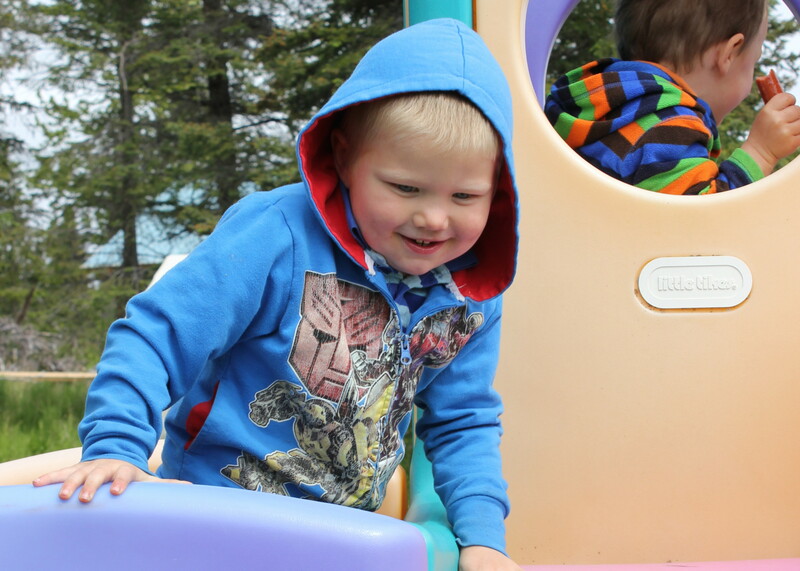 The family combined it into a trip to Wal-Mart, the nearest of which is in Kenai. Something I liked about the trip was the public restrooms. You have to know where they are as many of them are inside local businesses, but they are out there. 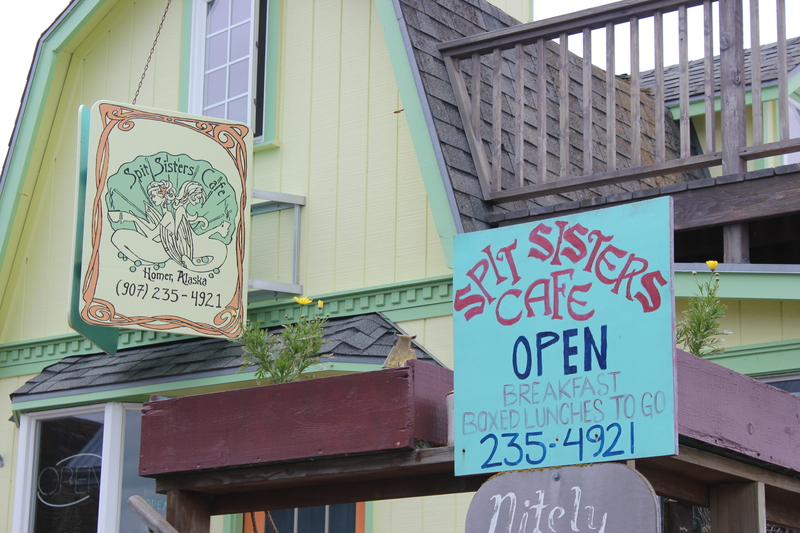 There are no rest stops with public restrooms, only these odd sites in places like Ninilchik. Arwen took Eli in to a restaurant to use one while we stopped at a little grocery to purchase a drink for Sam. The power was out on the peninsula, but the grocery had a generator (or the next-door liquor store did). I think Eli ended up peeing in some bushes, but he did get to touch the stuffed brown bear inside the restaurant. The day before, he told us how he saw dead tigers. “Tigers don’t live in Alaska,” retorted older brother, Zephan. “Which is why they were dead tigers,” Grandma said. Z. smiled. He’s starting to catch on to the family humor. Last stop was the Kenai airport. I had less than half an hour to spare, but it wasn’t like I would have to go through security or fight for a seat. I checked my luggage so I could pick it up on the regular carousel when I arrived in Anchorage. This flight was on a larger plane (it even had a stewardess). I had no problem securing a window seat and no one offered to sit next to me, which was fine. I stared out the window and wondered at the amount of water in Alaska. 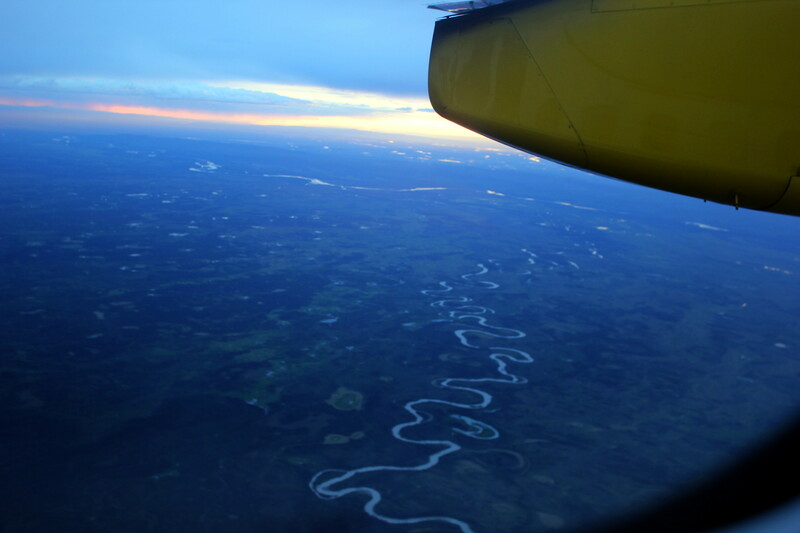 The parts that I flew over were pocked with old rivers snaking in and out of horseshoe loops, ponds, lakes, and mud puddles. I’ve flown over Minnesota (Land of a Thousand Lakes) but Alaska has more small waterways than Minnesota. Sunset was just beginning when we landed at 10:00PM. 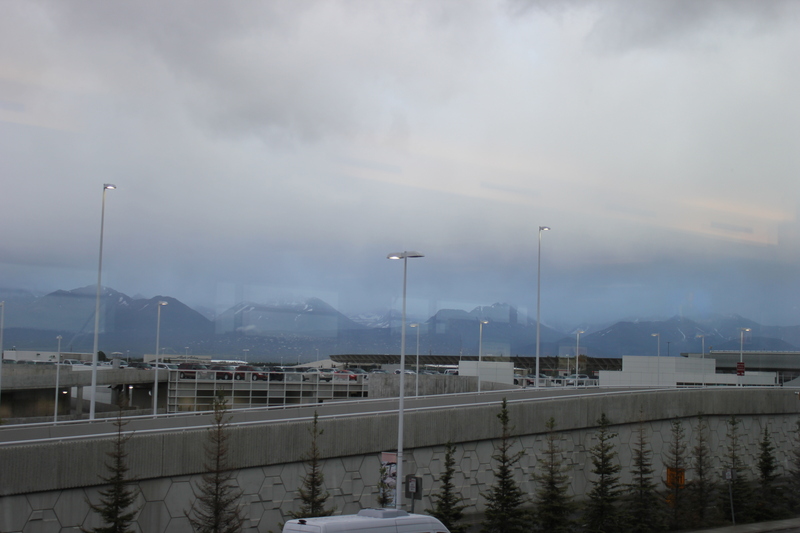 Anchorage was socked in by clouds, but not so socked in that you couldn’t see the mountains. I miss snow-capped mountains. 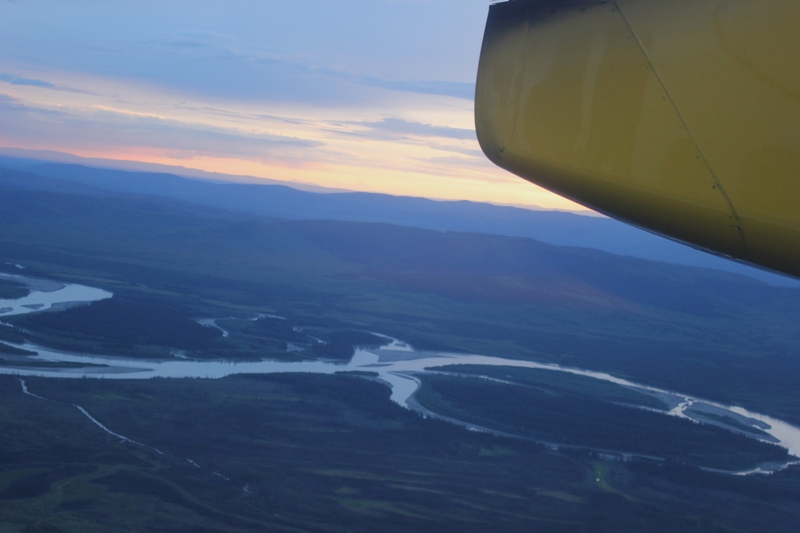 The flight from Anchorage to Fairbanks (much further north) was uneventful and still racing ahead of the sunset. My only other complaint lay in Fairbanks: my boarding pass said Gate 1. It was obvious to me that Gate 1 was not awaiting an immediate departure and I asked the Ticket Agent. “Oh, no. That would be Gate 4.” As if missing my flight due to bad information was the least of her concerns. 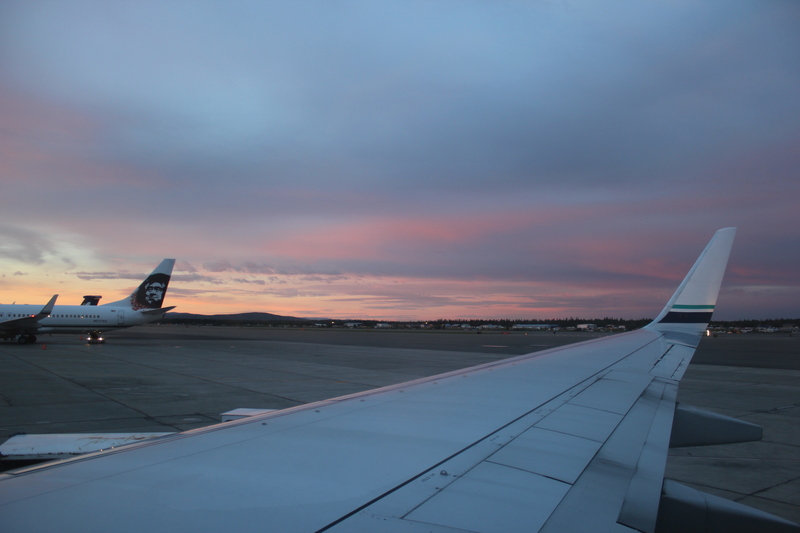 Sunset caught up to us as we awaited take-off from Fairbanks. It was after midnight. Side note: my hostess in Homer provided me with an eye mask for sleeping in the day light. I didn’t need it. I have no problem sleeping in the day. I just cannot sleep on an airplane or in a car. In the end: a lot of moose. 4-5 caribou. A lot of bald eagles (Alaska’s equivalent of Oregon’s Turkey Vultures. I love vultures). Half a dozen Sandhill cranes and at least two babies. Sea Otters. Six or seven air-plane sized mosquitoes, most of which were inside the restroom at Wal-Mart in Kenai. 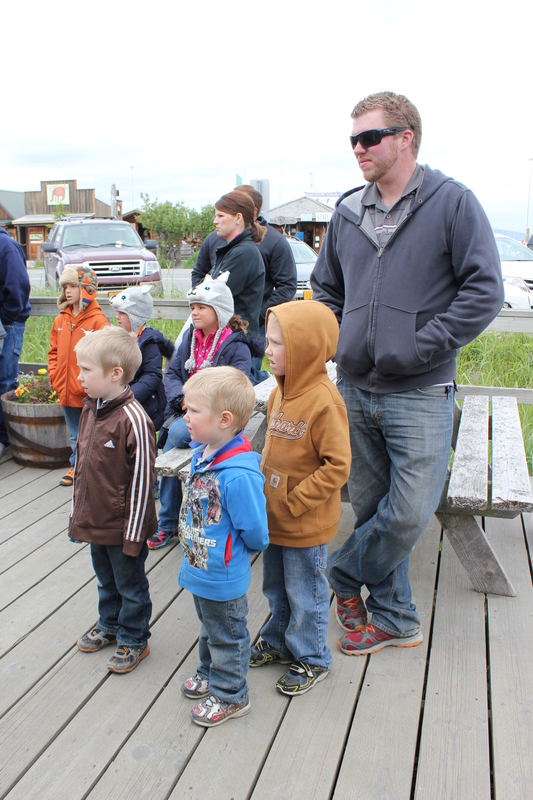 Forty-million cousins, aunts, uncles, and a life time of family history in Homer for my son-in-law and his children (and, by proxy, my daughter). They are so happy there. I am so happy for them. Homer suits them well. I’m glad you had a great (albeit short) trip! 🙂 I’d call but I’m headed to bed early. Thank you for the head’s up about Aunt Doris. Love you! 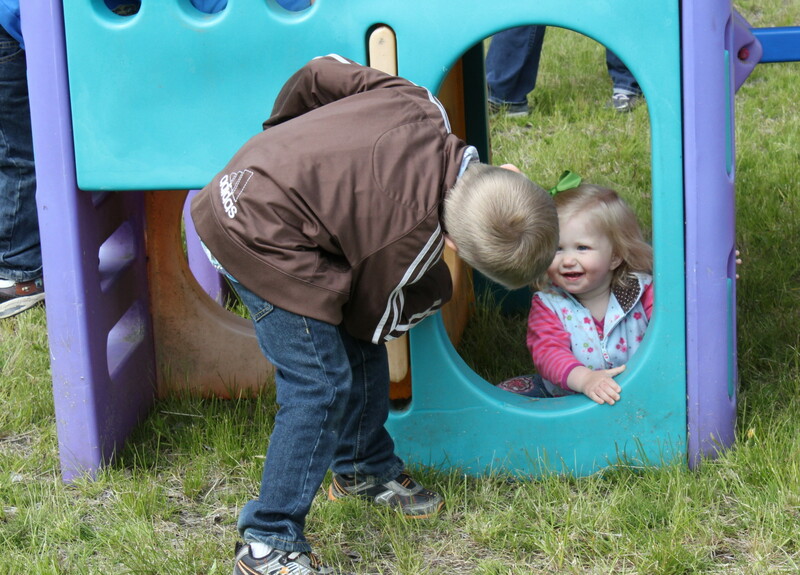 an intense dose of Grandchildren can sooth the soul and wear out the sole. Oh my goodness, that looks like such a fabulous trip! Grinning ear to ear while imagining how much you probably enjoyed it!